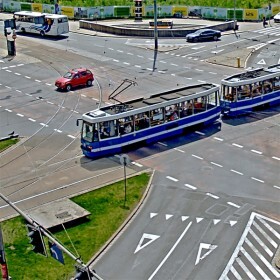 Bus station in the day-time and average traffic intensity. 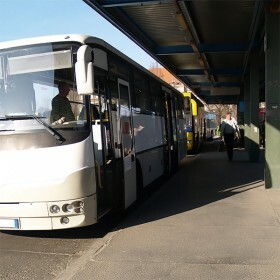 Recording contains sounds of buses passing from different distances (closer and more distant) as well as just the background sounds of the station and distant street. 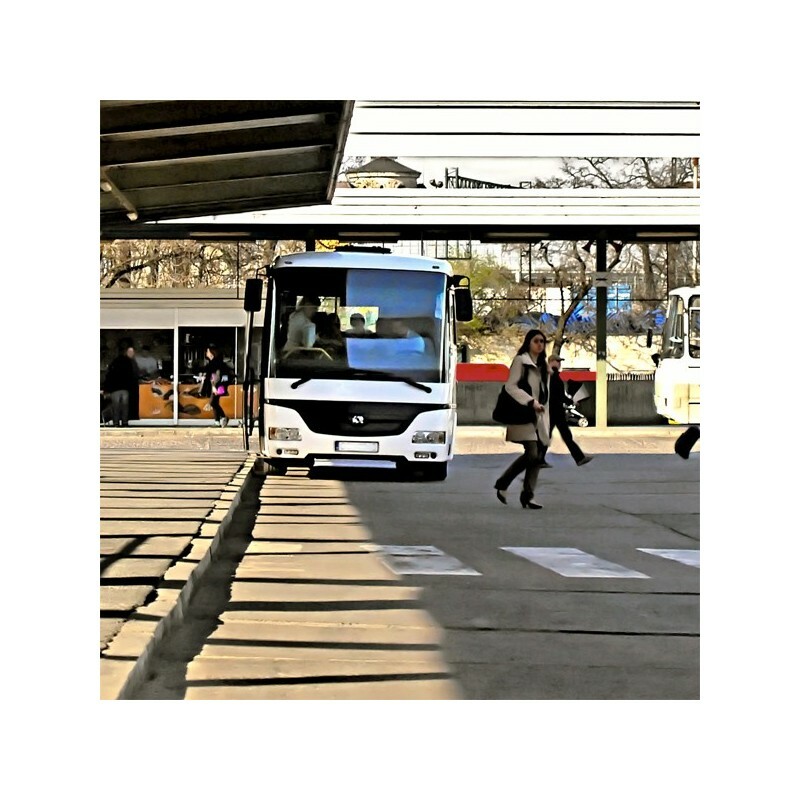 We can hear many details of people passing, blurry sounds of passengers conversations, footsteps, rustles and obviously all the sounds connected with buses.